Cancer is the second leading cause of death globally, with an estimated 9.6 million deaths in 2018. 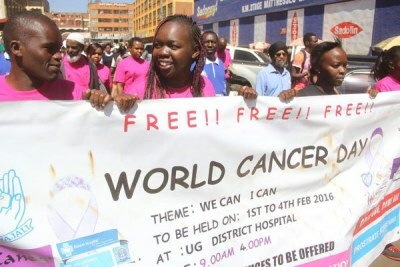 Globally, about 1 in 6 deaths is due to cancer, according to the World Health Organisation, with cervical, breast, lung, thyroid and colorectal cancers among the common ones affecting women worldwide. Examining a patient for cervical cancer (file photo).